We offer fs-Kits for NOPA pumped by Ti:S lasers at 800nm or its harmonic at 400nm. 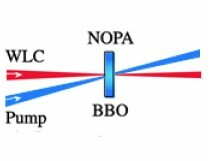 The selection of the NOPA kit is highly dependent on the pump laser source. Please send us an inquiry with your laser parameters, i.e. the central wavelength, pulse energy, repetition rate, and the beam size if you need an assistance. (1) 1 x BBO crystal for the SHG to blue. Standard BBO crystal apertures: 5, 10, 12 mm. (2) 1 x or 2 x BBO crystal(s) for 1-stage or 2-stage amplification. 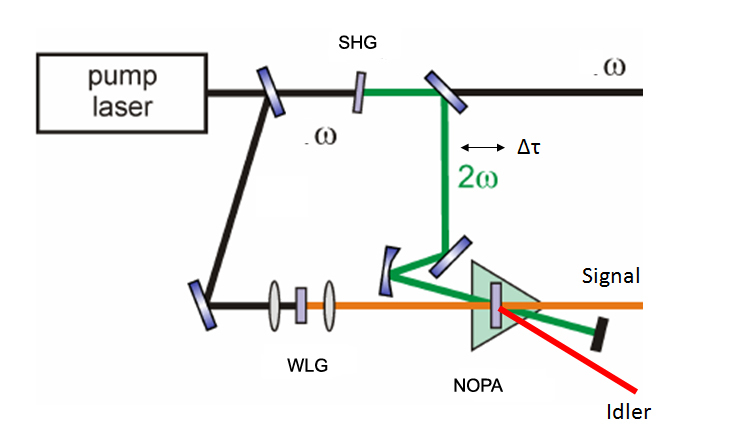 The signal/idler wavelength ranges are typically in VIS-NIR. Crystals for wavelength extensions to UV or MIR can be added to the kit upon request.